Charles Lewis III, on directing for the SF Olympians Festival. The quote above from the late film director was reportedly spoken on the set of his 1996 film The Island of Dr. Moreau. Adapted from the HG Wells book of the same name, the ’96 production is one of Hollywood’s most infamous: Frankenheimer replaced the original director, actors shot footage only to be replaced, the weather was hell, the make-up didn’t come out right, the budget and shooting schedule both expanded, the script was being rewritten every half-hour, and Marlon Brando was… Marlon Brando. 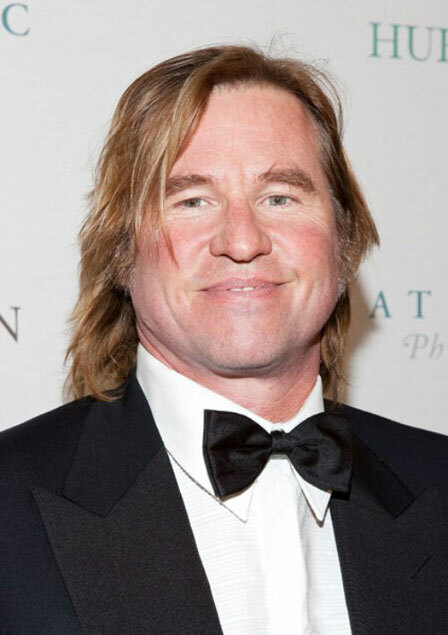 But it was working with Val Kilmer that drove Frankenheimer to the breaking point. By some reports, the director is said to have gotten so fed up with Kilmer’s diva antics that two came close to a fistfight at one point. So when it came to shoot Kilmer’s final scene, Frankenheimer is said to have followed the last take with the quote above. After five years, 78 writers, 57 directors, some 290, believe me when I say that there are many such stories connected with the festival. On that same note, there are just as many – if not more – stories of festival collaborators who clicked so well that they immediately got together again on their next project. In fact, if you were to survey the Olympians alumni whose work went on to full production, I’m sure at least part of that could be attributed to the chemistry that was developed during the original reading. Having taken part in the festival every year since its inception, and having taken part in every creative role except illustrator (I’ve taken up finger-painting, so it’ll happen eventually), I know there are far more people I’d love to work with than those I wouldn’t. The role of Olympians director has always been a tricky one because it’s always been the one that’s been hardest to define. It’s a writers festival first and foremost, so the two most necessary elements are writers to create the scripts and actors to read them. In a festival of staged readings, the emphasis will always be on the “reading” portion. So why is a director necessary at all? There isn’t a lot of work that goes into putting a bunch of people on stage to read a script; what’s the point of being a director if you’re not there to inject some stylistic flourish? Quite a lot, actually. I first directed for the festival in Year 3 and the first thing I remember was how strongly the writers were discouraged from directing their own scripts. As my own script developed, I began to see why finding someone else to direct was so strongly recommended. Writing is a solitary process. Doing it means spending a great deal of time bumping around in your own head. The problem is that the voice in your head will lie to you. A lot. Having the perspective of an additional artistic point of view will enlighten you to aspects of your script not even you had considered. The problem comes when directors try to make it less about the writer’s words and more about what the audience will see. The impulse is understandable, but it’s also wrong. Those of us who have been with the festival long enough know why there are now rules about there being only 3-5 rehearsals before a reading, why you should never force an actor to do something with which they’re uncomfortable, and why you should never, ever wait until the day of a reading to fully stage a physical assault scene requiring the actors to both move and read while their scripts are in-hand. There’s at least one of those readings every year. We’ve all seen it. Some of us have actually been in it. 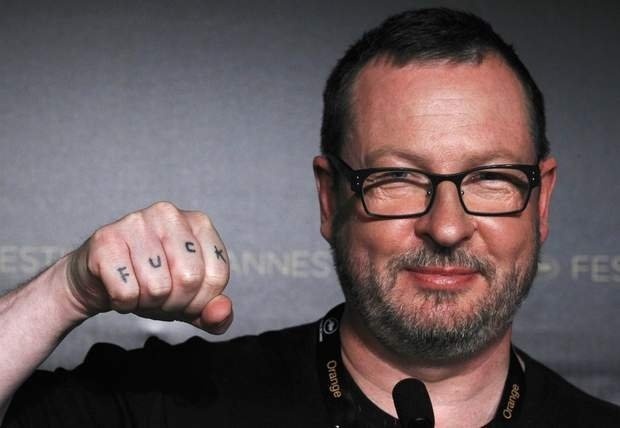 If I wrote a list of banned Olympians directors, this guy would be at the top. “Well then,” you might ask, what can a director do to help out when the emphasis is meant to be all about the words coming out of the actors’ mouths?” Easy: help them understand those words. They’re still actors, after all. They want character motivation and a better understanding of the person or persons they’ll be portraying. Perhaps the more esoteric moments in the script immediately made sense to you and the writer, but an actor will need something more. These are stories based on ancient mythological beings with fantastic abilities. The script is how it makes sense to the writer, the director makes sense of the script for the actors, and the actors translate that for an audience. And that doesn’t require a lot of bells and whistles. The most common staged reading direction of planting folks in front of music stands is used as often as it is because it works. It allows the actors to always have eyes on their scripts, but still turn and react to their fellow actors. Wanna shake it up a bit? You can do like Stuart Bousel often does and eschew with the music stands all together, arranging the actors in the form of an orchestra. You can define the characters through costume (which, like direction, should be simple, but can still be eye-catching). You can take full advantage of the fact that there’s nothing on stage but the actors. Last year’s Hydra by Tonya Narvaez was one of the most memorable because of the atmospheric way Tonya staged it. She wrote a paranormal thriller and set the mood by having the actors lit only by the lights on their music stands (see the photo at the top). Needless to say, we were still talking about that one days afterward. Simplicity, it makes all the difference. I had a list of about twelve people whom I’d considered for directing my Year 3 script about Atlas. The one I chose wound up not being on the list at all and she was the one who encouraged me to direct it myself. After I picked her, she wound up having a busier year than she’d expected, so I relieved her of directing duties to make things easier. After failing to find another director whose schedule would fit, I reluctantly agreed to direct it myself – something I hadn’t done since I was in school. I did direct, it went off okay, and I have since directed so much that I actually should put a director’s resume together one of these days. I’ve also seen my scripts directed by others, but in the festival and out. 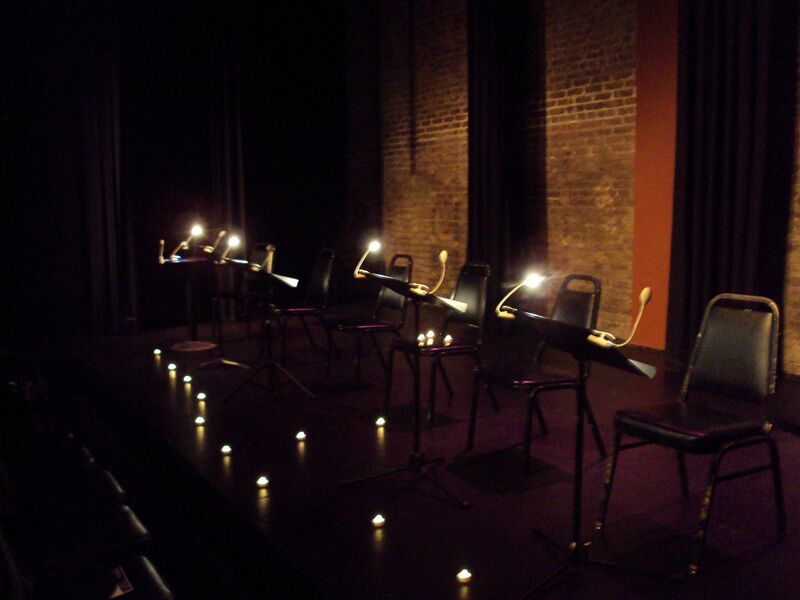 It’s given me a pretty clear perspective as to what function directors serve in a festival of staged readings: we’re conductors. That’s probably why Stuart prefers the orchestra-style approach to readings, because it makes clear just how everyone fits into the symphony. The writer composes, the actors sing (sometimes literally – again, happens every year), and the directors is there to make sure every single not is pitch perfect for the welcome audience.